Home > Products > Ultrasonic Cleaners > High Frequency Ultrasonic Cleaner 80KHZ or 120KHZ. 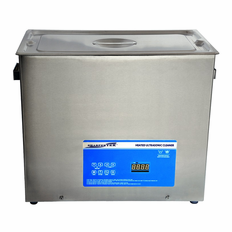 High Frequency Ultrasonic Cleaning Machines Used for Precision cleaning Applications. 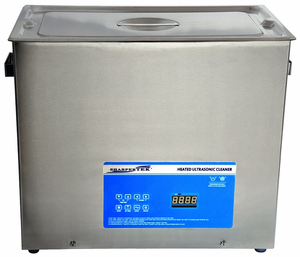 Ultrasonic Cleaners available in 80KHZ or 120KHZ. Depending on your application. Please click on the required Frequency below to see the different sizes available. If you are looking for a 40KHZ Please click on the url below. The 40KHZ units are under TABLETOP ULTRASONIC CLEANERS.